Have your Doctor Who artwork featured on Big Finish’s magazine! Big Finish have launched an exciting competition for all you budding artists out there and you could see your artwork on the back cover of their monthly magazine, Vortex. 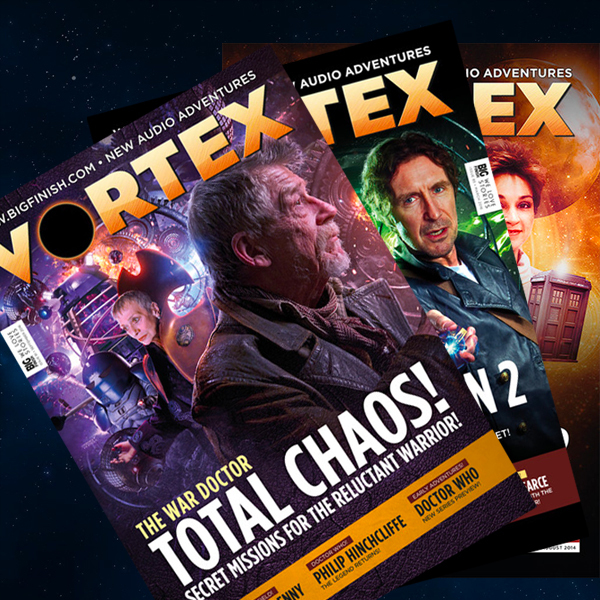 To celebrate 20 years of Big Finish – the company that produces many Doctor Who and related audio adventures – are giving fans an opportunity to have their artwork featured in September’s issue of Vortex, the free magazine that is given away with every purchase. The competition asks fans to create artwork, drawings and pictures (but not photo manipulations) featuring their favourite Big Finish characters. The deadline is 23:59 on 31st July 2018. The winner will be announced in August and their artwork will be used for the back cover of the magazine. For the full brief and specifications, visit the Big Finish website here.